Wanna see a movie for free? Wanna see a great effing movie for free? 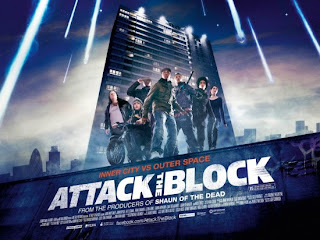 How about ATTACK OF THE BLOCK, the latest offering from the Edgar Wright camp? Joe Cornish is a talented screenwriter and behind the scenes guy who has been involved with the likes of Shaun of the Dead, Hot Fuzz, and the upcoming Adventures of Tin Tin, the Steven Spielberg/Peter Jackson directed film for which Cornish co-wrote the screenplay. Attack of the Block will be Joe Cornish’s breakout film, without question. A British sci-fi/action flick that stars Nick Frost…you know, the funny chubby fellow from Shaun, Hot Fuzz, and this past spring’s Paul. And worry not…I can call him chubby and not feel bad because: 1) he is a bit chubby and 2) I’m chubby too! While it’s not listed as a comedy in any sense, one would have to think it will have much of that sharp British wit that we have come to love in the likes of Hot Fuzz, etc. Attack of the Block is the story of an inner city neighborhood in South London under siege by an alien invasion. 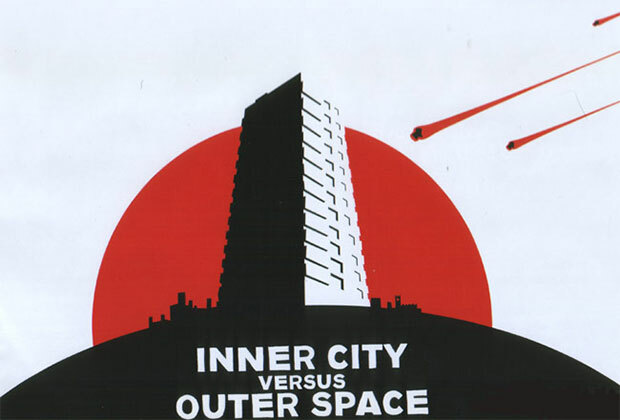 Like other alien invasion movies, the indigenous folks do not want to go easy into that good night. Unlike other alien invasion movies, we are given a look at how folks from the “other side of town” respond to such an affront to their turf. I think I can promise, without any danger to my rep, that this movie will be fun. So the filmmakers have decided to release Block in the states, for one night only…25 US cities on May 25th…FOR FREE! Unfortunately, it appears that there are only a limited number of passes still left. I guarantee, that the ticket jackals are out there and if your city is showing unavailable, you could probably try Craig’s List or eBay and you will likely find something at a slightly higher price than free. I am pretty excited for this one. I will be reviewing the film after the screening, so even if you don’t make it…I’ll be sure to get you the skinny! Don't forget to get your BOX OFFICE CHALLENGE votes in by the end of today! Vote HERE.